Baby Research Projects: TYPES OF ADOPTIONS!!! Pregnancy can be a very beautiful experience, but when that baby is not wanted then there are options. One of those options is Adoption. 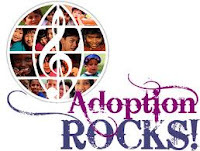 There are many different types of adoptions, for example and open adoption, a semi-open adoption, and a closed adoption. If someone chooses to do an open adoption it allows the child to have a relationship with their birth family and with the adoptive family. Many open adoptions include some of the extended family, for example the birth grandparents and siblings for the child. The birth family can have regularly exchange letters, photos, and gifts either directly or through someone else. Open adoption is very difficult for both the birth and adoptive family since there needs to be communication and trust between the families for the OPEN adoption to function correctly. Choosing a semi-open adoption means that the adoptive family shares information about the child to the birth family. They mostly share letters, photos and maybe some emails which are transferred either between each other, someone else, or the adoption agency. The adoptive parents are generally picked before the baby is born and are allowed to be at the hospital during the birth. Unlike and open adoption, a semi-open adoption does not include any one on one time between the child and the birth family. A closed adoption is the complete opposite of an open or even a semi-open adoption. A closed adoption means that the birth family and the adoptive family never meet. They know very little about each other, except for medical history, ethnicity, and cultural information. Since the birth parents never meet than the adoption agency chooses the adoptive parents for the child. Thought the decades a closed adoption used to be the best option when choosing adoption, but now it has changed into to semi-open adoption. These are some of the types of ADOPTION options pregnant women can choose. They provide the child with a loving, caring family and the birth family the option of not having to take care of an unwanted baby. Of course adoption does not mean that when the child reaches the age of adult he or she will not want to search for their birth family. How did the essay change your views about the topic?showed me different ways that adoption has.